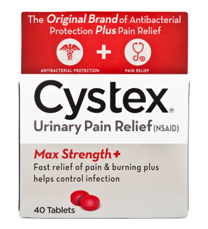 The original OTC urinary pain reliever with a dual-action formula that not only eases the pain caused by a UTI, but also contains an antibacterial to help keep the infection from getting worse while you wait for your doctor’s appointment. Dr. Elizabeth Kavaler, Board Certified Urologist, addresses important facts about urinary tract infection (UTI) symptoms and treatment. UTI Myth vs Fact How much do you really know?